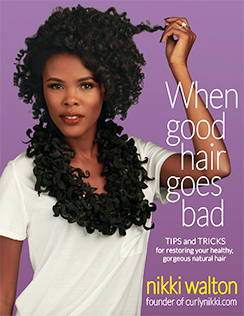 What first started three years ago by actress/producer Andrea Lewis as a form of self-love and building confidence has grown into something much bigger than she expected. 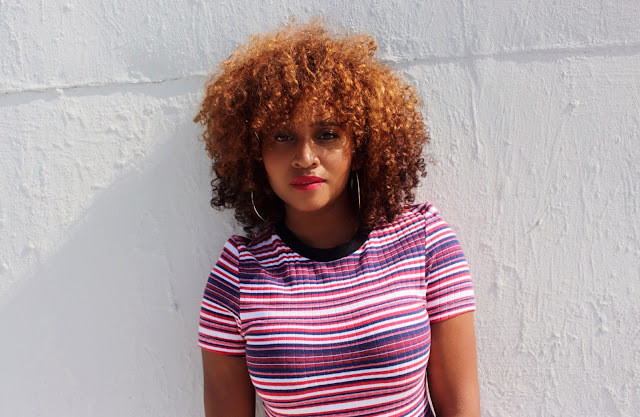 The former Degrassi star and mastermind behind the series Black Actress is launching the inaugural Women's Empowerment Weekend. 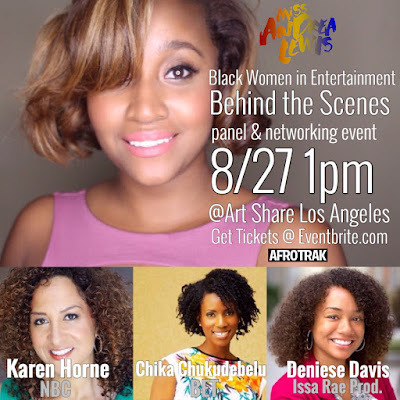 Women's Empowerment Weekend will take place next Saturday August 27th and 28th in downtown Los Angeles.The weekend is compromised of two back to back events including Black Women In Entertainment: Behind The Scenes and Self Love Tea Time w/ actress Keesha Sharp (Girlfriends/Lethal Weapon.) 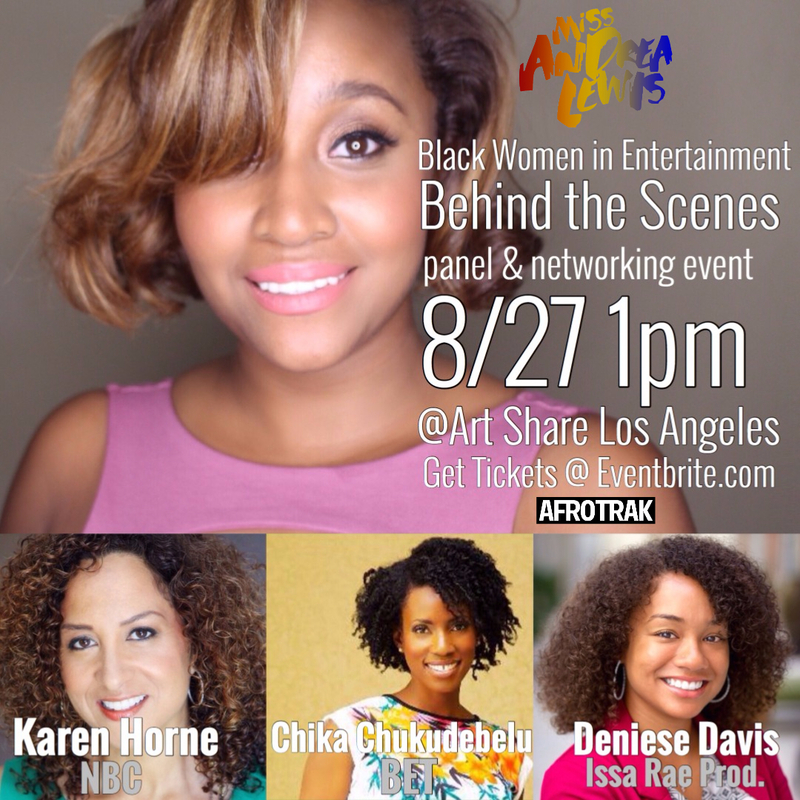 The first of two events, Black Women In Entertainment includes a panel discussion with top industry executives such as Karen Horne, Talent & Development at NBC, Chika Chukudebelu, Original Programming at BET and Deniese Davis of Issa Rae Productions. While many Black women aspire careers in the entertainment/film industry, it's very rare to find opportunities to sit it front of a panel of women who look like them asking questions to those making the key decisions. 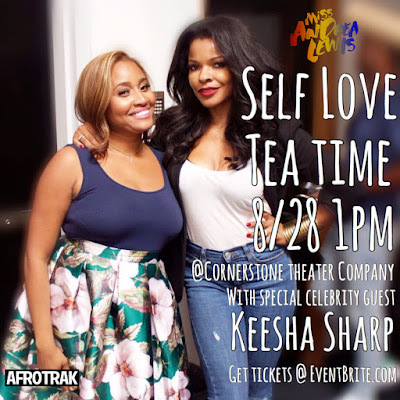 The second event, Self Love Tea Time with actress Keesha Sharp is an opportunity for women of color to have very candid conversations about self-love, life and sisterhood over tea. Lewis shares the inspiration on why she decided to keep going to create this weekend. "My first event featured special celebrity guest Essence Atkins and it was a pow wow of women sharing everything from their fears, their joy, their dreams and their goals and it was truly the makings of a sisterhood, says Lewis. "Most of the ladies didn’t know each other in the beginning but after 3 hours of open and honest conversation and even some tears, it felt like a room full of best friends." 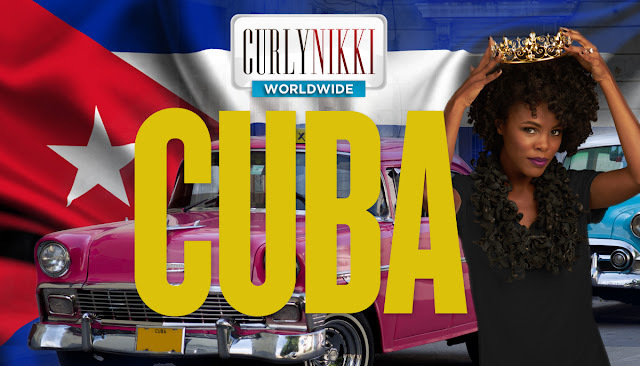 Now she adds the actress Keesha Sharp to her next event. "I'm ecstatic to have Keesha Sharp as the special celebrity guest and to learn about her journey with self-confidence and love." Three years later, and over 100 videos dedicated to Self-Love Saturday on her Youtube page, Andrea Lewis appears to be on to something big. However, it was seeking personal self-confidence that progressed her so far this journey. "I did it simply because I had just spent nearly a year working on my self confidence and self awareness and I was very happy with how I felt about myself finally. At the time I was doing a play and working with a woman who I felt was beautiful but I also felt could use a bit of encouragement but I didn’t exactly know how to say it. So I decided to make a video saying everything I was thinking." Women's Empowerment Weekend will bring together over 100 women of color in the same space to have these important conversations. The event also has plans to expand to markets such as New York and Chicago in the very near future. Early bird tickets for Women's Empowerment Weekend are currently available in a bundle pack of $30 or individually at $20 for the Black Women In Entertainment Panel and $15 for Self Love Team Time. 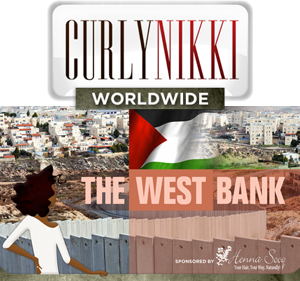 You can purchase them here.